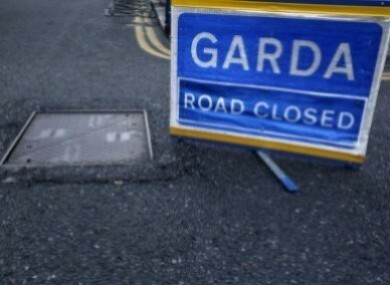 A MAN HAS died after being hit by a truck in Dublin this evening. Gardaí said that they were appealing for witnesses after a man (52) died following the incident on Emmet Road, Inchicore, Dublin 8, at about 6pm this evening. The man was treated by emergency services following the incident and was taken by ambulance to nearby St James’s Hospital, where he was later pronounced dead. The road remains closed and local diversions are in place. The coroner has been notified. Earlier, Dublin Fire Brigade tweeted that the Emmet Road had been closed in both directions due to the serious collision and that emergency service were at the scene. AA Roadwatch said that the slip road from St John’s Road West onto the South Circular Road has also been closed following the incident. Anyone with information is asked to contact Kilmainham Garda Station 01-666 9700, the Garda Confidential Line 1800 666 111 or any garda station. Email “Man (52) dies after being hit by a truck in Dublin”. Feedback on “Man (52) dies after being hit by a truck in Dublin”.